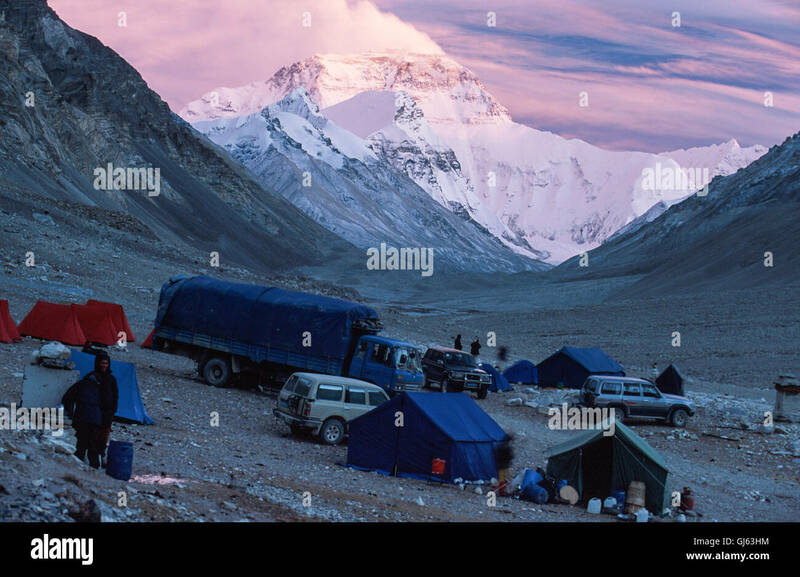 Mount Everest (8,848 metres ) looming up at the end of the valley viewed from Rongbuk Monastery at sunset with our expedition tents, 4x4's and support vehicle. The views of Everest's North Face are even more stunning than from the Nepal side. Mount Everest is known as Sagarmatha in Nepalese and Chomolungma in Tibetan which translates as "Mother Goddess of the Earth."